Djibouti (HAN) December 5th, 2017 – Public Diplomacy & The Regional security impact about the annual budget assistance for the African Countries. Read the new article, “Chad, an African dike against terrorism,” by. Huda al-Husseini, she is a political writer and focuses on Middle East geopolitics. The horrific massacre which recently happened in Sinai reflects much of this logic. Democracy cannot flourish amid terrorist threats that are present in every corner. The West won against ISIS in Iraq and Syria and the new arena became Libya. Meanwhile America’s strikes began to target al-Shabaab in Somalia. However these organizations do not sum up all terrorism. There is a country which thanks to its geographic location is of huge significance for the West that’s fighting terrorism. This country also has a history of participating in campaigns that aim to achieve stability. It’s Chad which American President Donald Trump chose to ban its citizens from traveling to America. Although Chad’s democratic record is not encouraging, the ban is considered illogical due to Chad’s role as a stabilizing force in South of the African Sahel. French President Emmanuel Macron’s first foreign trip after he was elected was to Mali. In September, Chadian President Idriss Deby visited Paris to sign an agreement with the EU which will grant Chad a loan worth $8.3 billion to cover the years 2017 until 2021. The aim of the plan is to help Chad throughout its severe economic crisis. Meanwhile, Djibouti government asks the new french government a budget assistance a similar approach by the Chadian regime. 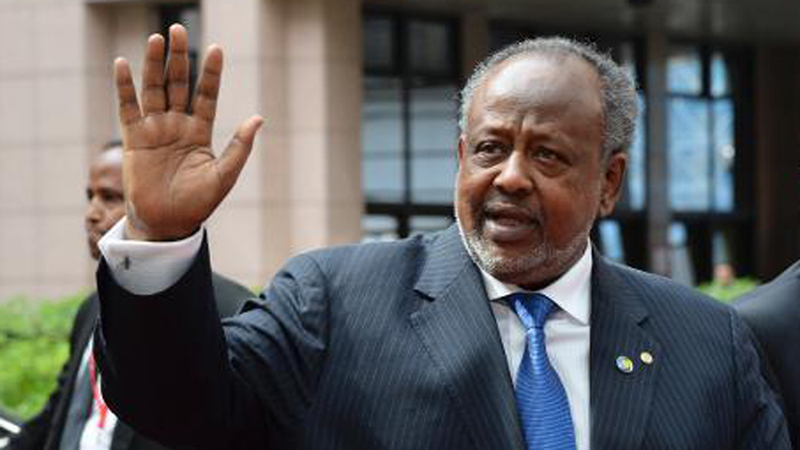 The China ‘negotiates military base’ in Djibouti, a comments that accompanied Djibouti President’s official visit to Paris at the end of February next year all went in the same direction to rebuilt Djibouti infrastructure and find the best investment for his country.